Elizabeth Etmanski is an Artist based in the Lower Mainland of British Columbia, Canada. 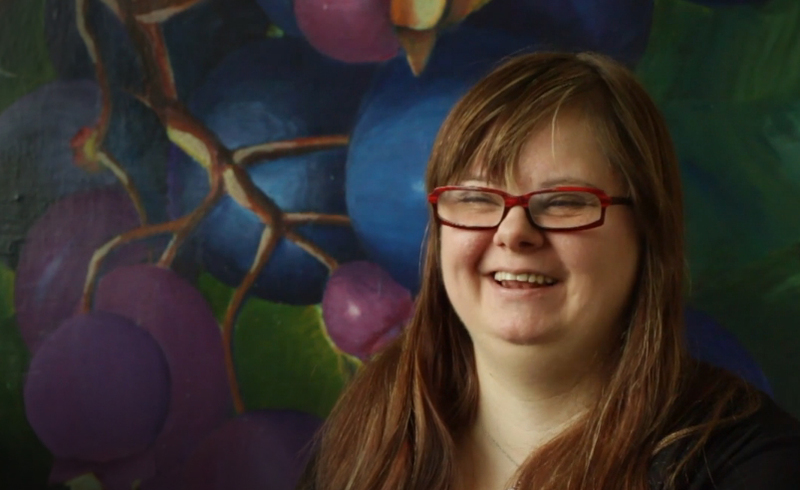 Having won an award for her artistic passions in Secondary School, she went on to become the first person with Down Syndrome to graduate from the Emily Carr University of Art and Design. She also writes poetry, which deals predominantly with the themes of love and overcoming personal obstacles. One of her poems was adapted for the stage by Erinbell Fanore with the Kaleidoscope Theatre Company in Cork, Ireland. She hopes that one day her work will be published and displayed widely so as to provide further inspiration for people with disabilities around the world. In addition, she has travelled across Europe on holiday and is a medal-winning power-lifter with the Special Olympic movement in Canada. She dreams of attending NYU and visiting Graceland, the home of Elvis Presley.